Tiantandongmen is a station on Line 5 of the Beijing Subway. For more details view the ExploreBeijing interactive Subway map centered on this station. 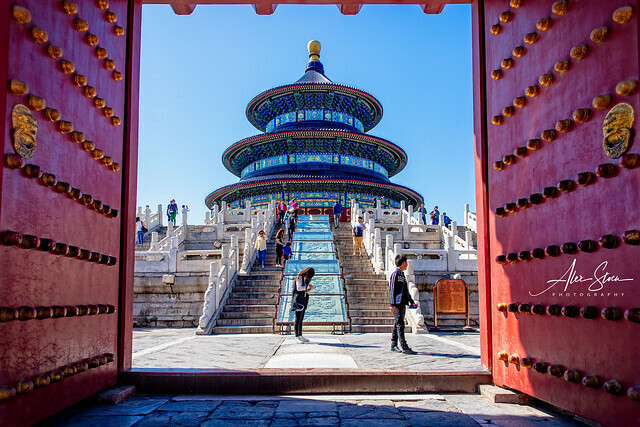 10 mins walk to Temple of Heaven. Try the Echo Wall. "Brown Door" is an American Chinese restaurant. Just west of the Pearl Market. To get to the south gate of the temple of heaven walk south to bus 614 take south two stops get off at tiantannanmen. Pearl market, exit B, right at road to market. Brown Door is American Chinese food. Just to the west (left) of entrance to Pearl Market. "Knock Knock" store near the Brown Door.